Spring is finally on its way and it is time for everything to appear much brighter and cheerier as we leave the winter weather behind. It’s the perfect time of year to update your wardrobe as new colours and design come into popularity. Let your wardrobe welcome in the spring weather and reflect the change in season in your clothing choices. Despite bringing with it the promise of summer, spring isn’t always quite so warm, so you need a few pieces that will look great but still look seasonal too; after all, no one wants to walk around in a heavy, dark coloured sweater in the middle of April! So, if you’re looking for the perfect clothes to update your wardrobe this spring, look no further than authentic Irish knitwear. Here is just a little inspiration from Aran Crafts for your spring wardrobe. Designed and created in Ireland, knitwear holds a special place in Irish culture and history, in particular the Aran design. Originating from the Aran Islands at the mouth of Galway Bay, way of life was simple and many inhabitants off the island lived off farming and fishing. 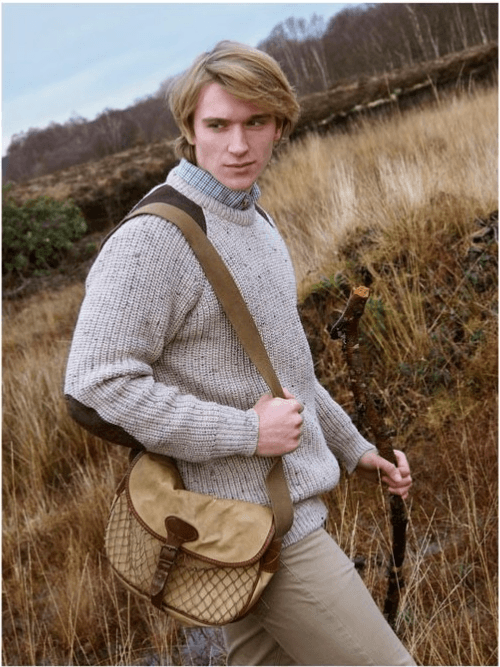 Needing something to protect them from the elements and keep them comfortable while working, Irish knitwear in the form of Aran sweaters were born. 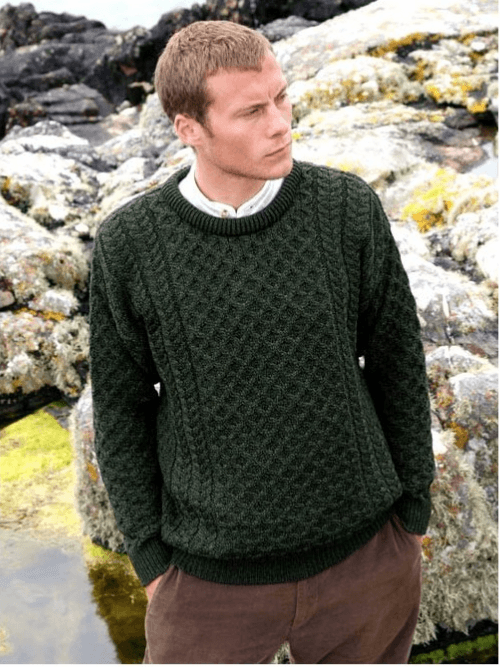 With so many knitting patterns representing different parts of life on the Aran Islands, they became a popular piece of clothing for decades to come. Even today, authentic Irish knitwear remains a go-to garment for people all over the world and still have an important place in the lives of the Irish. So, how does an Irish sweater fit into your spring wardrobe? When it comes to updating your wardrobe for the upcoming spring and summer months, you want a variety of pieces that will ensure you remain warm and comfortable while you’re out and about. A spring wardrobe should be full of lightweight designs and eye-catching colours, while keeping you warm against the early spring chill. Popular colours for the spring season include pastel shades along with easy neutrals like cream and brown. For a much bolder choice, brighten up your clothing with vibrant green and blue shades to breathe life into your wardrobe after the winter. From sweaters to cardigans, Irish knitwear might just be the perfect cover-up this season to keep you warm as you go about your business. Brightening up your wardrobe for the new season ahead isn’t just for the fashionistas in the family. 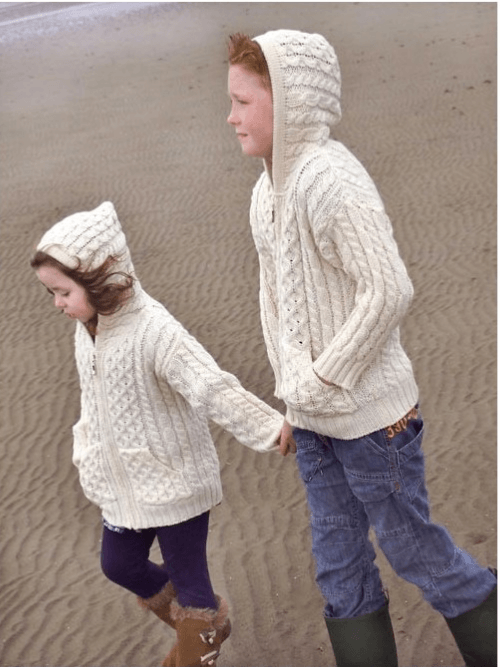 Irish knitwear caters for men, women and children; giving everyone the chance to invest in a new sweater or cardigan to add to their collection. 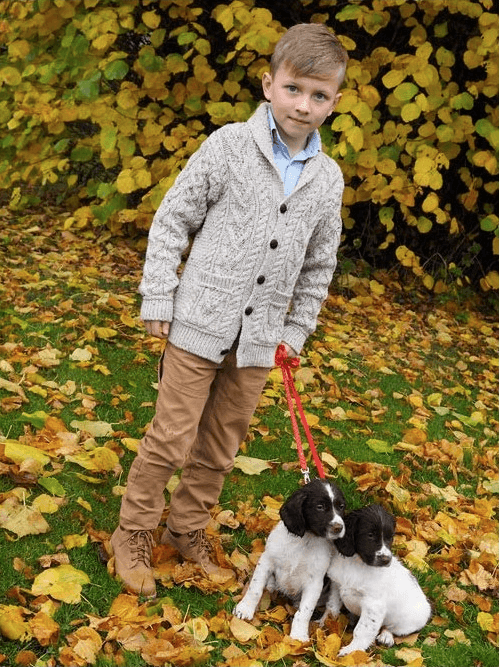 From smart pieces perfect for formal outings, to casual clothing ready to throw on during the evening when it gets cold, Irish knitwear is perfect for any member of the family. 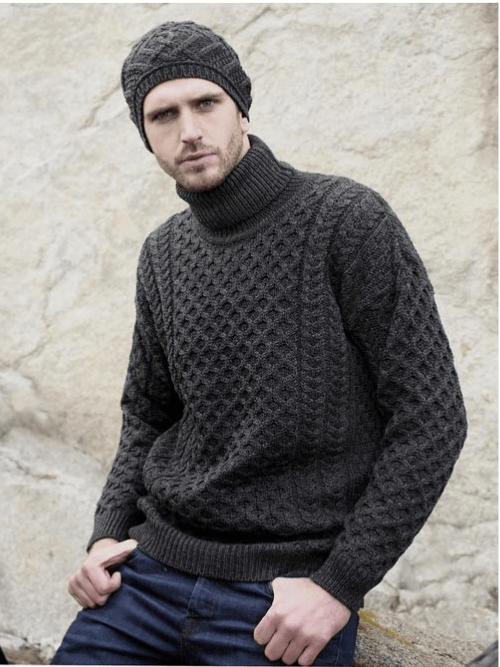 With classic designs like the diamond stitch or cable stitch, authentic Irish knitwear should be at the top of your shopping list this spring. Written by David Milsont, David is an avid writer who loves to write on lifestyle, Health, Fashion, Travel and more.